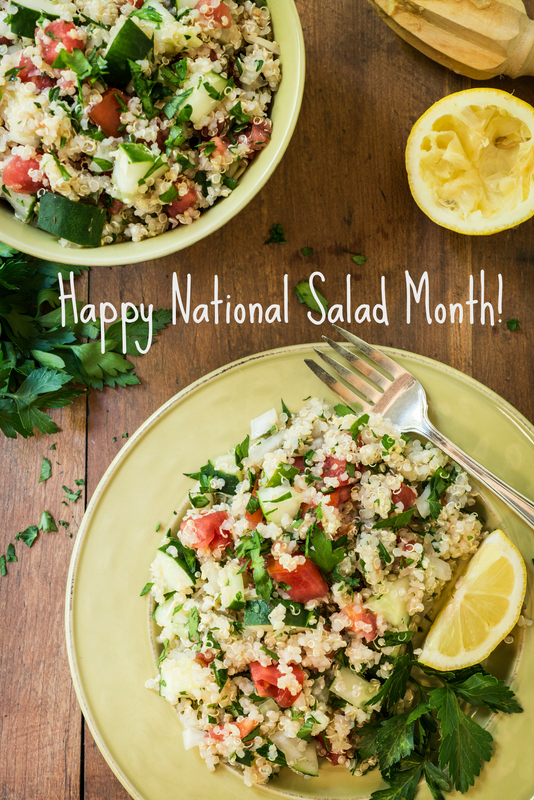 Dress up your salad for National Salad Month! Here at Shiloh Farms, we love salads for any meal (well, maybe not for breakfast) because the possibilities are endless! Salads are quick and easy to prepare for a healthy, wholesome meal. Celebrate National Salad Month with us and try some of our salad topping suggestions to spruce up your usual salad dish and add a healthy vitamin and protein packed punch to your usual salad. Top a spring mix salad with our dried cranberries, shelled pumpkin seeds and crushed shelled pistachios and dress with balsamic vinaigrette. Add black beans, pinto beans, corn, shredded mild cheddar goat cheese and crushed baked tortilla chips to hearts of romaine and dress with ranch for a southwestern style salad. Mix garbanzo beans, feta goat cheese, diced tomatoes and olives to baby spinach and dress with tahini, a squeeze of lemon, chives and fresh parsley for a Mediterranean twist. Add chopped Turkish Apricots, crushed cashews and shredded mozzarella to arugula and dress with lemon vinaigrette. ← Happy Mother’s Day from Shiloh Farms!